Upon completion of the active phase of orthodontic treatment, the patient begins the period called retention. Most orthodontic patients believe that their teeth, once straightened, will remain straight forever. Unfortunately, this is not true. Teeth, the surrounding bone, gums, lips, and tongue are living tissues, and are constantly subject to change. 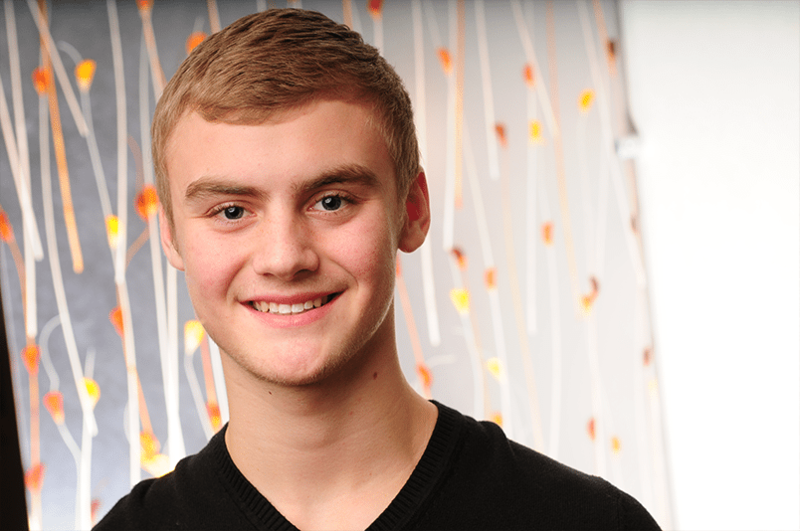 This is why orthodontic treatment works. When the orthodontist applies the proper forces to the teeth, the teeth move and the surrounding tissues adjust. Knowing this, it is easy to understand that when braces are removed and the teeth are subjected to natural forces, the teeth are inclined to react to the pressure and move. Such forces include tongue and lip pressure, chewing food, and nervous habits such as nail biting, pencil chewing, etc. Does this mean that wearing braces is useless? Of course not! Eighty-five to ninety percent of the original orthodontic problems are permanently resolved with treatment. Problems involved with the biting relationships of the teeth are corrected, and the cosmetic appearance of the teeth is enhanced and returned to normal. To help minimize the potential for tooth movement after braces are removed, we move into the retention phase of treatment. “Retention” is the term used to identify the time period during which the patient is wearing retainers. The advice given to every patient is to wear the upper and lower removable retainers 24 hours a day (with the exception of eating, brushing, or vigorous physical activity) during the first 6 months after the braces are removed. Then, the retainers are to be worn at night indefinitely. Experience has taught us that if retainers are discontinued, the majority of cases will experience a slight amount of shifting. This usually involves rotation of the lower front teeth, and sometimes rotation of the upper front teeth. The more severe the original problem, the greater the tendency for shifting. Some shifting is the body’s natural response to change as we experience the aging process. Patients should not be discouraged! Teeth can be kept straight. However, continued use of the retainer(s) is required. Appointments will be scheduled to monitor the patient’s progress for the first two years after the braces are removed. These appointments are included in the total treatment fee. 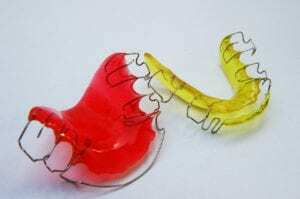 However, should a retainer become lost or broken, a replacement fee will be charged. After the two years of active retention, the patient will be “graduated” with instructions to wear the retainers every night during sleep to maintain a passive fit of the retainers. Remember, wear them in your mouth, not in your pocket. Retainers work only when you follow our instructions. Clean your retainers! After meals, clean all parts of the retainer with a toothbrush. Make sure your teeth have been thoroughly brushed before replacing your retainers. A denture cleaner, such as “Efferdent”, can help in cleaning your retainers. Handle your retainers with care. Retainers are easy to lose! If you take your retainers out, always place them in your retainer case for safety. Click here for more information on caring for your retainers. Interested in our retainer treatment process?